Airtight seasoning feeds and preserves leather pipe bags and absorbs moisture providing a rich resonant tone to the instrument. 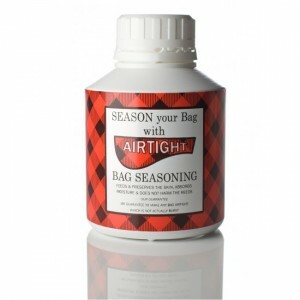 It guarantees to make any leather bag airtight. Not recommended for use with Gannaway Zip-bags.